A reference letter is a document typically written by a former employer, a co-worker (or someone who has worked with the applicant in a professional setting), an academic advisor or professor. The letter is written to communicate their experience with and assessment of the applicant’s skills and qualifications, and why they would be a great fit for whatever position they are trying to secure. In short, it is someone who can speak highly of your abilities and positively about their time with you. The further you get into your career, the more valuable reference letters become. At the same time, the sooner you start acquiring and submitting them, the greater chance you will have at landing your dream job. Here is why every application should come with a reference letter, including learnerships. Are reference letters a requirement when applying for a job? No, not always. Should you provide one anyway? Absolutely. You may not be asked for one, but they don’t hurt! Reference letters function as the icing on the cake. They can mean the difference between a yes and a no, and they can sway a maybe to a definitely. If your hiring manager is teetering on the fence between you and another applicant, the words of someone who has actually worked with you could result in a win. These letters say what your resume and cover letter cannot. Moreover, they say what YOU cannot. You may have an impressive resume, you might have nailed your cover letter and perhaps you were the peanut butter to your interviewer’s jelly when you met for the first time, but a third party can bring an element to the table that none of those can. The word of a third party means a lot. In some cases, your hiring manager could be replacing your referee, so of course they want to know the opinion of someone who has been there and knows what to expect. They may even opt to call them, in which case, you are being seriously considered. Who Should I Ask For One? Think of three people who could function as a reference for you. Is there a teacher that you are close with? A class that you excelled in? Have you held a job for a long time? Have you already worked a learnership? Who have you worked closely with that you can confidently ask to recommend you to another? Who would gladly work with you again? These are the types of questions you need to ask yourself when thinking about who you would like to have as a reference. You want someone who is going to be honest and speak highly of you without you even having to tell them what their letter should say. Honesty goes a long way, especially when your interviewer may call them for additional information. 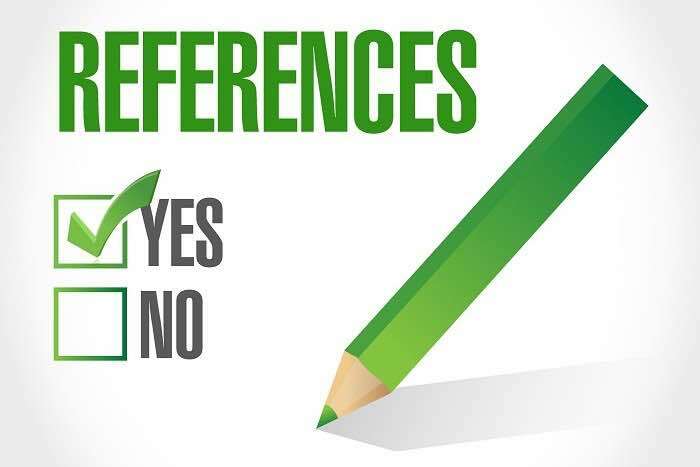 When considering your references, think about what characteristics each can address, and be careful to have some variety. Consider asking a former professor to speak for your academics, a co-worker to speak for your work ethic and personality, and a former employer or supervisor to speak for your overall skills, qualifications and in-house achievements. This will make for a well-rounded referral. If you have volunteered, community leaders would also suffice. Keep in mind that the higher the status, the more seriously he or she will be taken. You may ask for a letter of recommendation before you even apply for a job. It doesn’t hurt to have it on-hand. However, knowing what type of role you are applying for would help them construct and tailor the letter to the position. The letter should also include contact information and the best time to call, should the interviewer want to discuss you any further. When Should I Offer It? The best time to offer a reference letter is either with your resume and cover letter when you apply, or at your interview when you provide a hard copy of your resume. Ideally, the sooner, the better… because it could be what lands you the interview. How Should I Prepare My Reference? Interviewers don’t always call references; sometimes a letter is enough. However, your reference should always be prepared to receive a phone call within 24-48 hours of your interview, unless you are told otherwise (sometimes they need more time). After your reference has written your letter and it has landed in the hands of your interviewer, let them know where you stand in the interview process and what they can expect. This would be a good time to discuss key talking points, if any particular topic stood out in the interview. Remember, they are there to sell you as the company’s next best employee, so it’s OK to give them a little guidance based on the expectations in front of you. As long as they are honest. Reference letters are a great vehicle for convincing a hiring manager that you would be a good choice. Job hunting is extremely competitive, so you need to bring as much to the table as you can! Having someone go to bat for you will help make your application stand out above the rest, and is far better than hoping that your words are enough to seal the deal.